Medical marijuana for epilepsy has shown promise as a safe, effective treatment that doesn’t produce the often-severe side effects of traditional medications. Understanding the disorder and how medical cannabis for epilepsy works helps you determine if it is a suitable treatment option for you or a loved one. Epilepsy is a seizure disorder in which there is a sudden temporary change in how the brain functions. The healthy brain is made up of millions of inter-connecting nerve cells called neurons. These cells are constantly communicating with each other by sending signals through tentacle like connections called axons and dendrites. Neurons normally generate impulses up to 80 times a second. During an epileptic seizure that rate can increase up to 500 times a second. Epileptic seizures may result in blackouts, involuntary movement of the arms and legs, and distorted perceptions. When the impulse rate returns to normal, the seizure ends and the patient is generally left with a feeling of extreme fatigue. There are many different forms of epilepsy, and management depends on correct diagnosis. Epilepsy can be a lifelong condition that can result in serious complications. Persons with epilepsy need to be managed and monitored by a physician. Learn more below about how medical marijuana can help treat epilepsy. Epilepsy is a disorder of the central nervous system characterized by loss of consciousness and convulsions. The seizures caused by epilepsy are due to issues in the brain rather than temporary medical conditions, such as a high fever. Approximately 1 of every 26 Americans will have a seizure disorder at some point in life. Estimates show approximately three million Americans have epilepsy right now. Each year, another 200,000 people receive an epilepsy diagnosis. The disorder produces intense, abnormal electrical activity in the brain, which can cause seizures. This disorder can be caused by brain damage, a tumor or an infection, but in most cases, the cause is unknown. Environmental toxins and metabolic disturbances may also be to blame for some cases. Seizures vary significantly in how they manifest physically, how long they last and how severe they are. Small, minor seizures may last only a short period. These types of seizures don’t cause brain damage. More severe seizures can cause major convulsions lasting an extended period. Severe seizures may injure the brain permanently. Seizures fall into one of two categories: focal or generalized. Simple or partial focal seizures happen when the abnormal brain activity occurs in only one area of the brain. Patients remain conscious during simple partial seizures, and they experience no impairment to memory or cognitive abilities. They may experience jerking, sensory symptoms, temporary paralysis, changes in vision, difficulty making simple movements or changes in mood. This type of seizure affects less than 15 percent of people diagnosed with epilepsy. Complex or dyscognitive partial seizures result in loss or change in your consciousness. This might include confusion, memory loss and loss of awareness. Some people perform repeated movements during the seizure, such as walking in circles or rubbing their hands together. To other people, a complex partial seizure may cause the patient to look dazed or out of it. Dyscognitive partial seizures affect more than one-third of people with epilepsy. Because they don’t always cause symptoms associated with seizures, focal seizure symptoms may be mistaken for migraines or other disorders. Absence — previously called petit mal seizures: These seizures are common in children, and they often cause staring or small body movements as well as a brief period of unawareness of the surroundings. Tonic: Muscle stiffening characterizes tonic seizures. The stiffening particularly affects the legs, arms, and back, which may cause falls or mobility issues. Atonic: This type results in loss of muscle control. These seizures may cause you to fall or collapse suddenly, contributing to the nickname “drop” seizure. Clonic: These seizures cause a repeated jerking of the muscles, usually in the neck, face, and arms. Myoclonic: Sudden, quick muscle jerks or twitches often occur during myoclonic seizures. They usually affect the arms and legs. 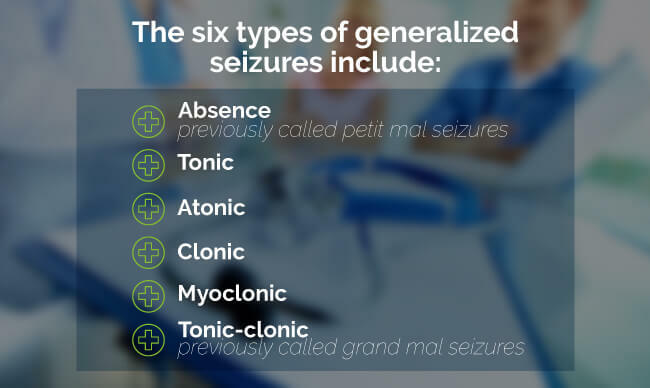 Tonic-clonic — previously called grand mal seizures: The most severe symptoms typically occur with this type of seizure. They often cause a loss of consciousness, stiffening and shaking. Loss of bladder control and tongue biting may also occur during the seizure. The symptoms of epilepsy vary from one person to the next and depend on the type of seizures you have. While your seizure symptoms may not be the same as someone else, your specific symptoms tend to be the same each time with a repeated pattern during episodes. Epilepsy can cause problems beyond the immediate physical symptoms patients experience. The disorder tends to disrupt life due to the potential for seizures at any time. Some patients aren’t able to drive or engage in other normal activities. Even something as simple as bathing can become dangerous. People with epilepsy are 15 to 19 times more likely to drown than people without the disorder. This can happen while swimming or while bathing. Some rare complications can cause life-threatening situations for people with epilepsy. Status epilepticus describes continuous seizures that last more than five minutes. This condition also applies to recurrent seizures that occur without regaining consciousness between them. This condition increases your risk for death and permanent brain damage. Another rare complication is called sudden unexplained death in epilepsy (SUDEP). The risk is low, but some patients with epilepsy suffer sudden unexplained death. Heart or respiratory issues could be to blame, although the specific cause for SUDEP is unknown. Children and adults over the age of 60 have the highest rates of epilepsy diagnosis. In some cases, people who experience dementia also develop epilepsy. People closely related to someone with epilepsy have an increased risk of developing epilepsy. Doctors perform a number of tests to diagnose epilepsy. Some of those tests, such as blood tests, are used to rule out other possible causes for your symptoms. An electroencephalogram (EEG) is commonly used to diagnose the condition. Electrodes attached to the scalp record your brain’s electrical activity to look for unusual patterns. In some cases, your doctor may use a CT scan or MRI to get a closer look at the brain to identify potential cause of the seizures or abnormalities in the brain. A PET scan may help your doctor look at the electrical activity in your brain. Once diagnosed with epilepsy, patients typically seek treatment to help control the seizures and other symptoms. Some children may outgrow epilepsy, while others need to continue seeking treatment to control the symptoms for life. Treatment is necessary even when seizures aren’t severe. Even a mild seizure can have serious side effects if it occurs during certain activities, such as driving, so it’s important to keep the seizures under control for the safety of the patient and those around the patient. Medication is the most common current treatment for epilepsy. Some people diagnosed with epilepsy undergo surgery to control the condition, although this option is less common. These treatments help control seizures in about 80 percent of patients according to Mayo Clinic, but the remaining 20 percent go without relief from traditional epilepsy treatments. Treating epilepsy can be difficult because each case is unique. The seizures and symptoms vary from patient to patient. Epileptic seizures are often controlled through drug therapy drugs such as anticonvulsants. Some patients with epilepsy must take several different drugs to create a combination that controls seizures effectively. This means the 80 percent of patients successfully treated with traditional methods still have to deal with negative side effects that are difficult to handle. Medical marijuana is an effective alternative for a laundry list of ailments and conditions, and epilepsy is one of those diseases that is highly responsive to weed. Many patients suffering from epilepsy and other seizure disorders have found great relief from medical marijuana, either taken on its own or in conjunction with other epilepsy medications. Some epileptics who cannot tolerate other anti-seizure medications have been able to use marijuana to successfully control their seizures. Substances in marijuana called cannabinoids affect cells in the body called cannabinoid receptors. Cannabidiol, or CBD, is one of those substances that may affect the body in a way that helps reduce seizures. Unlike THC, which creates the “high” feeling, CBD does not cause psychoactive effects. This lack of psychoactive effects allows patients to live with fewer seizures without dealing with the high feeling if they prefer to avoid it. The subject of using medical marijuana for seizures has been of interest to researchers for some time. Research is often difficult due to legal issues, federal regulations and limited access to cannabidiol, the substance that may help reduce seizures. Marijuana is considered a Schedule 1 substance with no medicinal value at the federal level, which limits the opportunities for research. However, recent research shows the use of the drug to treat epilepsy symptoms has promise. 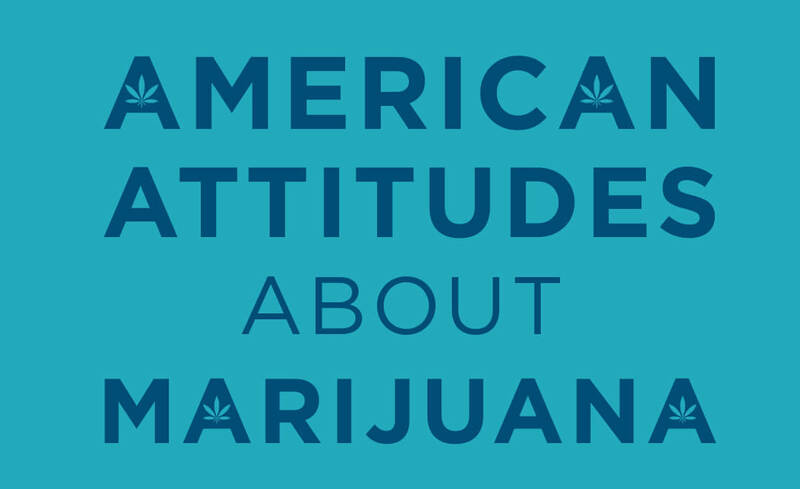 For example, Scientific American reported on a study involving the use of a cannabis-based drug known as Epidiolex, which is a purified oil extract containing 99 percent cannabidiol, or CBD. This is a chemical found in marijuana that does not produce psychoactive effects. This form of treatment was provided to patients in addition to the existing medications they were using, and all of the patients were aware of what they were taking. According to the publication, the addition of CBD helped reduce seizures in nearly 37 percent of patients, and two percent of patients reported that they were free of seizures entirely. Although nearly 80 percent of patients participating in the study reported effects such as fatigue, diarrhea and sleepiness, only three percent of them removed themselves due to these events. Substantial research into the potential benefits of medical marijuana for epilepsy has largely been stymied in the U.S. due to roadblocks erected by the federal government. But Time magazine reported on a potentially groundbreaking clinical trial that could go a long way toward backing the claims of marijuana advocates with unassailable science. The magazine reported that University of Colorado researchers were involved in studying the genetic makeup of people suffering from a form of epilepsy known as Dravet Syndrome. The researchers were specifically looking for patients who had used Charlotte’s Web, a strain of weed known to have particularly substantial benefits for those suffering from epilepsy. The purpose of the study was to determine if there are genetic reasons why some patients see positive results from the strain and others see no benefit. One group participating in the study would have seen their seizure activity reduced at least by half after using Charlotte’s Web, while the others would either have seen minimal or no effects. The Charlotte’s Web strain is high in CBD and low in THC, the psychoactive component of cannabis. The main method of ingestion of the strain is through oil. Several children have been treated in this manner, including one Charlotte Figi, from which the strain takes its name. She was the first epilepsy patient, according to the magazine, who was successfully treated using Charlotte’s Web. A great deal of anecdotal evidence shows that Charlotte’s Web can be an extremely effective treatment, but federal laws have made it exceedingly difficult to prove it scientifically. But this trial, the magazine reports, can be an important first step toward building a scientific argument. The study is ongoing, and it is unclear when the results will be known. However, the principal investigator involved in the study said it could eventually allow children suffering from Dravet Syndrome to one day be screened so parents will know whether or not they would benefit from the use of Charlotte’s Web. A study at Children’s Hospital Colorado reviewed cases of pediatric patients suffering from epilepsy who received treatment using a cannabis extract. Of those patients, 57 percent saw some reduction in seizure activity. Thirty-three percent of those patients had their seizure activity reduced by 50 percent or more. Two additional studies are taking place at Children’s Hospital Colorado. One study will follow pediatric patients for three years. Blood tests, EEGs and patient diaries will gather data for the study. The second study focuses on the body’s processing of CBD, including the time it takes to kick in and how long it stays in the system. This study could help with dosing guidelines for using cannabis to treat pediatric epilepsy. A studied concluding in 2017 found that medical marijuana can be beneficial for treating children and adolescents with epilepsy. Dr. Shane Shucheng Wong, MD and Timothy E. Wilens, MD from Massachusetts General Hospital conducted a study that studied the effect of medicinal cannabis in the adolescent treatment of epilepsy and chemotherapy-induced nausea that included randomized controlled trials, case reports, retrospective chart reviews, and open-label trials. They found that cannabinoids far out-performed other drugs in reducing in the frequency of seizures. Marijuana helps many patients with epilepsy control the seizure symptoms related to the disorder. Those specific symptoms depend on the type of seizures the patient experiences and how those seizures typically present themselves in the patient. Just as the symptoms of epilepsy vary from one patient to the next, the specific strains that prove effective may vary. Some patients may respond very well to a particular strain, while others receive little to no relief from the same strain. The primary strains are indica and sativa, with hybrid strains available that emphasize particular traits from the other two types. Indica strains generally contain more CBD than THC, which makes them popular for treating epilepsy. Indica also tends to create a sedative or relaxing effect, which can help treat other medical issues, such as anxiety, headaches, chronic pain, sleeping disorders, and muscle spasms. Kush, White Widow, and Northern Lights are three examples of indica. Sativa tends to have an uplifting, energizing effect, which can be good for daytime, but it may interfere with sleep at night. While it does not contain as much CBD, some people do find relief from spasms and seizures from sativa. It can also help with nausea and stimulate the appetite if you suffer from those issues. The best strains of marijuana for treating epilepsy tend to include those that are high in CBD and low in THC. This provides the seizure-reducing effects of CBD without the psychoactive side effects. Charlotte’s Web fits that profile well and is an effective option for many patients suffering from epilepsy. A similar product called Haleigh’s Hope is now on the market in Colorado with a focus on treating kids with epilepsy. While some people seem to respond well to CBD, strains that include some THC with CBD may prove effective when CBD alone doesn’t reduce seizures. Some researchers believe the two substances work together creating an entourage effect. A marijuana doctor can evaluate your medical needs to determine which strain of marijuana is best for your particular situation. Medical marijuana is available in a number of different administration methods. Smoking is often associated with marijuana. This method produces almost immediate effects, which is why it is a popular option for adults. Some people worry about the effects on the respiratory system when smoking marijuana, which is why some other methods are growing in popularity for medical marijuana. Smoking is also not an option for children who suffer from epilepsy. Vaporization is one of those alternative methods. A vaporizer uses a lower temperature, which reduces byproducts created during the process. The chemicals in the marijuana enter the bloodstream quickly for fast relief similar to smoking. Oils and tinctures use concentrations of marijuana, which you can add to food or drinks, or you can take the oil alone. One option is to add the oil to a capsule to swallow, similar to any medication in pill form. These methods typically provide quick relief. The advantage of using cannabis oil for epilepsy is the control over dosing. This is particularly important with high CBD levels. With quality oil that is properly prepared, the dosing can be very accurate for an effective treatment. Edibles are also an option for ingesting cannabis without smoking or vaping it. You can find a wide range of food products infused with cannabis for an easy way to get the beneficial effects. Some of the options include cookies, ice cream, lollipops, and gum. When you consume edibles, the effects generally last longer than they do with smoking or vaping, but they take longer to initially take effect. Edibles can take anywhere from 30 minutes to a few hours to start working. Children with epilepsy most commonly take cannabis products in liquid form instead of smoking it in the traditional recreational manner. These products are sometimes available in gels or patches as well. The high levels of CBD in these products help control the seizure activity while minimizing the “high” sensation. Most of these products have some THC, but they are usually limited. Medical marijuana is very effective in controlling epileptic seizures without the side effects found in traditional medicines used to treat epilepsy. The side effects associated with cannabis are typically mild and are classified as “low risk,” with euphoric mood changes among the most frequent side effects. Those side effects typically go away, and in some cases, those side effects are considered positives. For instance, someone who has epilepsy and also has trouble sleeping appreciates the sleepiness it causes. A patient with epilepsy who needs to gain weight or has a low appetite benefits from the increased appetite from cannabis. Most medical marijuana states allow the use of medical marijuana for epilepsy and seizures. If you are looking for relief from epilepsy or any other seizure disorder, we can help. We can connect you with hundreds of quality marijuana doctors across the country in all legal marijuana states and ensure you are in compliance with your state laws. Book an appointment today and let us help improve your quality of life!